I love those quiet books, the ones that you start reading and then before you know it you are completely and totally sucked into the story. They take you by surprise. When I read a book that has a lot of "buzz" around it, I go into it with trepidation. Sometimes I love it too, but sometimes the hype is so big it doesn't live up to expectations. But those books that maybe don't have the buzz, they are blank slates. And then when you get so caught up in them. Those are the ones that get me excited. They are books to champion. Cecilia Galante's new book The World From Up Here is one of those books. I hadn't heard anything about this book and Cecilia Galante is a new author for me. I didn't have expectations when I began it. It took me some time to get to know the characters and feel out the situation. We meet Wren who definitely has worries and they go beyond what most middle graders worry about. She is quickly thrust into a new living situation because her mom is hospitalized and needs treatment. While the reader is never told why her mom needs hospitalization until later in the book, there are certainly enough clues to see that she is suffering from a mental health condition. We start to see a connection between Wren's worries and her mom's condition. At first, I was thinking there was a lot in this book - Wren's and her mom's mental health, Wren's brother has Asperger Syndrome, they have a new living situation and middle grade relationships. However, each of those pieces are important to the story and I liked how Galante wove them together. In recent events, we have heard about books being censored and authors being disinvited from school visits because of books, whether they've written them or not. Like the books that are being censored, this book is going to be important to readers because of the discussion of mental health. Whether a student is dealing with a loved one who has mental health problems, or whether a student has no concept of it and this book brings awareness, it's a book that is needed in classrooms and libraries. 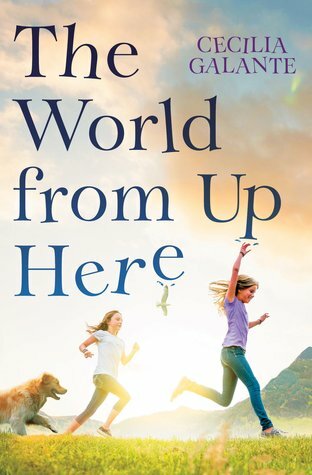 I hope you pick up a copy of The World From Up Here and share it with students. "Please Be Nice to Sharks" blog tour! Living in South Florida for the summer puts me in close proximity to the ocean and ocean life. But I also watch the news and inevitably I see some shark attack reports. What you see and hear can be gruesome. But how often do these shark attacks occur? According to the book there are more injuries due to a vending machine falling on you than a shark attack actually occurring! It's crazy facts like this that will keep kids reading this fun and engaging book. how many sharks are killed per year - over 100 million! And that's just the number humans kill! They are often killed for their fins to make shark fin soup, a Chinese delicacy. Sharks are disappearing quickly, some populations have declined by 99%! Sharks are very important to control the fish population, without sharks in the ocean, the balance of ocean life would change dramatically, and not in a good way. This would be a great page to use when doing a unit on that balance of life, or on an ocean habitat. What a great topic to debate! 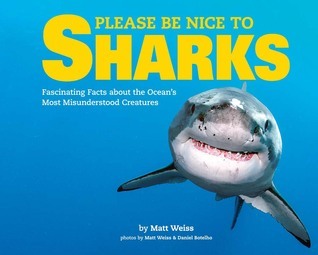 The rest of the book is written about different sharks and the reasons why people should be nice to them. Each shark "talks" to the reader, having a familiar tone to the reader - examples "What's up?" and "Oh, hello there!" Young readers will enjoy this familiarity, especially since it keeps the factual side hidden in conversation, instead of in dry text! The end of each page concludes with the shark asking the reader to please be nice to that type of shark. I thought it was interesting that the author is also the photographer of many of the photographs! This is his first book, but I bet with his fascinating photos, it won't be his last! What is historical fiction? This is a debate that I've heard a wide degree of valid points. Are there a certain amount of years that must pass in order for it to be considered historical fiction? Is it based upon the age of the person reading it? I'm not sure there is a hard and fast rule. When I think of 9.11, I still remember it too vividly. But, when a book about 9.11's targeted audience is middle graders, who weren't alive, does it become historical fiction? Rhodes takes on 9.11 but tells about it in a different frame. Our main character is ten years old and doesn't know about 9.11. Her family has sheltered her from it, but we don't know why. We know her father is ill and there seems to be a connection to 9.11. Rhodes also adds in being homeless, having a Muslim friend, and another friend whose father goes to fight in Iraq after the 9.11 attacks. All of these pieces are woven together to make a great story. I think books like these are so important for our middle grade kids to read because it gives them perspective and information. I at first found it strange that a 10 year old character, who lives in Brooklyn, could not know about the events of 9.11. So I brought the conversation to my 10 year old. I asked her what she knew of that day. She knew something bad had happened and that a lot of people died. 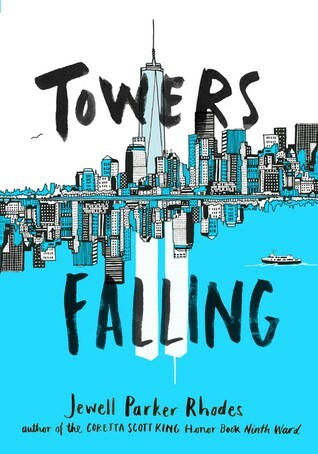 I had shown her the book so the only other detail she knew was that "towers fell". I asked her if she knew what that meant and she really didn't know any other details. I asked her if she knew how it happened and she thought the buildings had been gunned down. I was surprised how little she knew, but when I thought about it, I realized we probably really hadn't talked about it, which surprised me, but I guess not really. So often we shield our children, not having those tough conversations with them. I'm glad I have books like this to start those conversations that take time and make us talk about the tough topics. Welcome to this version of I'm Reading What You're Reading. This week it's the places to go edition. Whether you're traveling to different locations or places in your mind, these books are perfect to take you where you want to go! 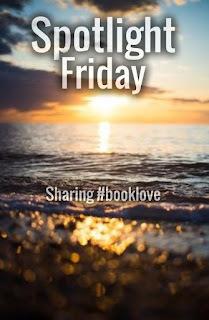 I've been wanting to check out this series since Alyson Beecher spotlighted it months ago. I love the illustrations - bright and colorful. 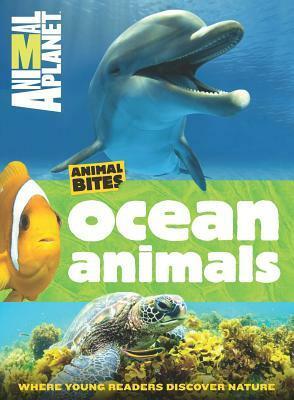 Full of information with accessible text, this book is great for young readers. I'm interested in finding more in this series. 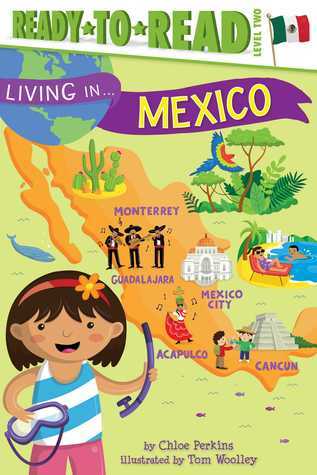 I notice they have one about Mexico and India publishing in the future. We have students from both areas at my school, will have to look for them! Thanks to Kellee Moye for this book. 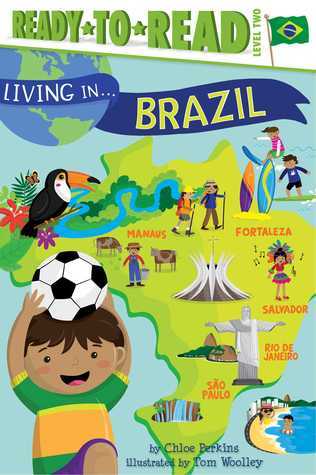 Just like all National Geographic Kids books, it's not meant to read cover to cover, but there are a lot of fun facts sprinkled throughout. 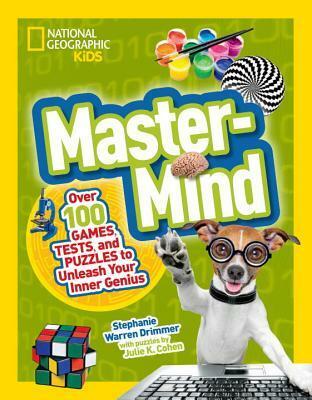 This one has puzzles and games that will delight kids. I think I'm going to copy the puzzles and put them in a binder. Kids who check out the book can check out the binder and do the puzzles in there, that way the book can be used over and over. So what are you reading? Because I'm probably going to check it out too! I can always tell when my husband has gone home on these Monday posts - my reading significantly goes down! My husband and I are definitely a partnership - he has his things he does and I have mine. But once he's gone and I do both plus do everything for my daughter, yikes, reading and writing go way down. 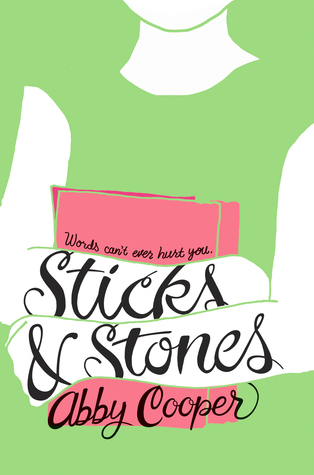 If you are a middle grade teacher or librarian, be sure to have Sticks and Stones by Abby Cooper in your collection. Here's how the book impacted me. Part 3 of my series on early readers. 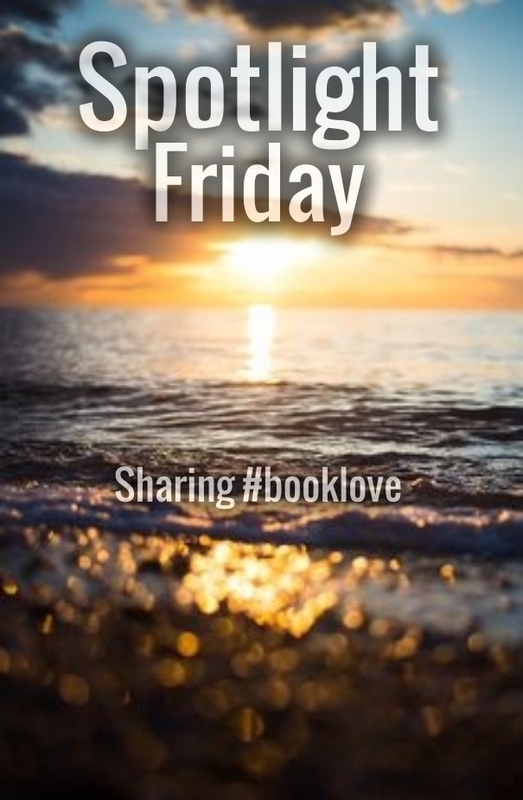 This community has given me so many wonderful books to read. 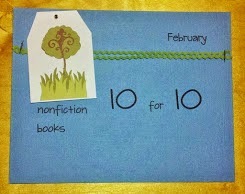 Thanks to you, I'm reading your nonfiction. Check these books out! So many uses for this book. You could spend days going over different problem solving techniques, how you confront problems, how problems make you feel. I think this book would be perfect in elementary classrooms. While you can absolutely use it with any age reader, I would love to hear conversations of those kids who can interpret the literary elements. Cute story - pet owners will understand how Penny feels when she can't bring her beloved dog Jelly to a special evening. I liked the problem solving Penny uses! Illustrated by Thyra Heder, always enjoy her illustrations. I loved the premise of this book - find Wonders (a la Wonders of the World) in your own hometown. Eben, the main character, finds what is special in his own town, but also learns about his neighbors/townsfolk. I liked this book, but I'm not sure how it will go over with young readers. I know my own daughter had no interest, I wonder how many students would stick with this book. This will be an important book to have in your classroom because many students will see themselves or someone they know in it. This story is about two girls, both named Naomi. About as different as can be in regards to their personalities, likes/dislikes, but also racial background - one Naomi is African American, the other Caucasian. But what they have in common is they both come from divorced families and both have a parent that is dating the other Naomi's parent! It's very real - both girls have feelings of trepidation, both are worried about the changes to their family, both feel like their parents are throwing them together. I like that the authors kept divorce in a real light, but didn't make it a horrible thing. Looking forward to next weekend - ALA weekend! 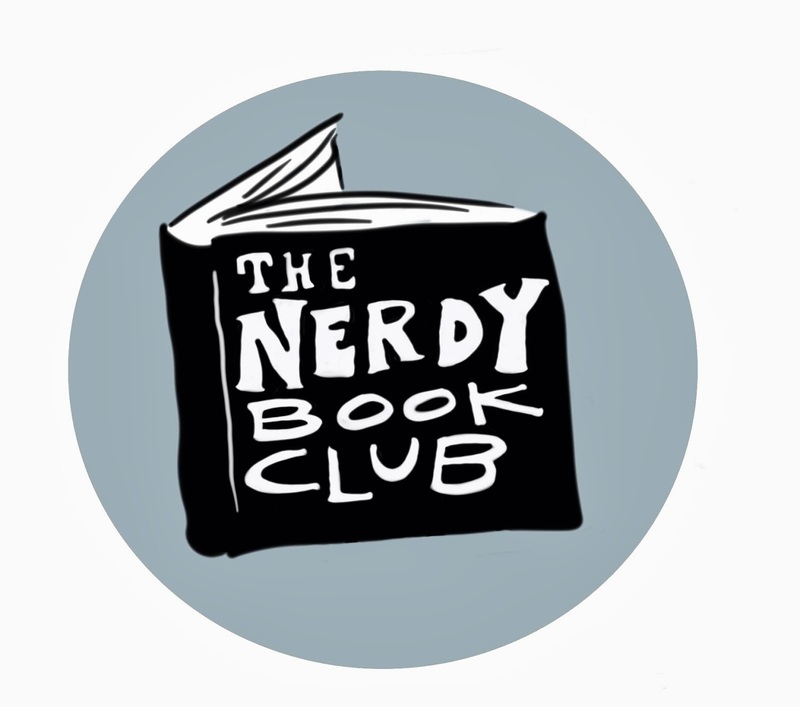 Will be seeing many nerdy friends and seeing all the new books coming our way! I also get the chance to attend the Newbery-Caldecott Banquet! 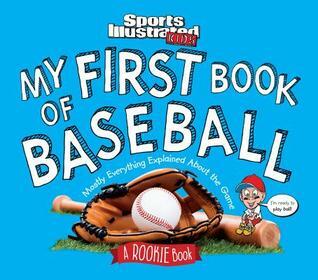 I am so thrilled to see books being published that are intended for early readers. Books that contain mostly sight words and many of the words can be decoded by looking at picture clues, are often simplistic and have no plot line. Characters are flat and do not develop. However, there have been some books that have been recently published that show early readers can be smart, fun books! For the next several weeks I am going to spotlight some of them. I hope these books find a way into your classroom! Houghton Mifflin Harcourt has a series that is specifically for early readers. They are tiered in levels so readers can grow with them. It seems to be the "it" thing to do now, and put the guided reading level on the back of the cover. I have mixed feelings about this. Mostly, I wish they weren't there. Unless that level is being used by a teacher for specific reading purposes, a level does not need to be attached. The books I've read so far in this series have characters and plots that are sure to interest young readers. Since it's an early reader, the text tends to be controlled as far as sight words and decodable words, but most of them still have an interesting story. I like that the longer books are early chapter books. 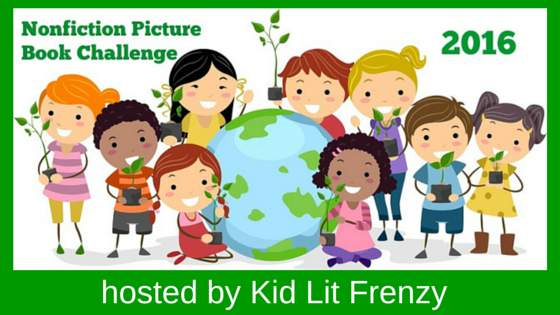 By introducing young readers to short chapters, they start getting the feel of remembering a plot line over a longer period of reading time. Here are a few I've read so far. "Sticks and stones may break your bones...."
We've all heard the saying. We all know it's not true. Names hurt. We've all been called names. We've called ourselves names. We did it as kids. We did it in middle school. We did it in high school, college. We do it now. But what if those names were on our bodies for the world to see? That is what happens to Elyse, our main character in Abby Cooper's debut novel, Sticks and Stones. Today's post is not a review. It's about impact. On me. On my child. In today's society, we hear about bullying. We hear about cyber bullying. But it seems to be that the bullying we hear about - through news, social media - is when something really bad happens as a result. But bullying happens everyday. In small ways that can make a big impact. What we hear and read seem to be sensationalized but it's what happens in Sticks and Stones that is much more common. Growing up I always considered myself in the "average crowd". I had friends. Not a big circle, just a few close friends. I'm pretty sure that most people I grew up with wouldn't even remember who I was. I wasn't "the -est" of anything. You know, the prettiest, the sportiest, the smartest. Yet I have very very vivid memories of kids being mean, calling me names, saying rude things. Rarely was it popular kids. I wasn't an anything to them. Other kids who didn't know me. They were mean and I'm sure there was a variety of reasons behind it. Sometimes it was people I used to be friends with, but for whatever reason, an innocent falling out had occurred and I became an open target. The fact that I can remember things 32 years later shows how it had an impact. It's one of the most common forms of bullying and it's still happening and it happens everyday. I worry about this now for my daughter. As many of you know, she is going through her third limb lengthening. She wears a brace on her right foot as well as a shoe lift. Before the surgery, it was 6 1/2 inches. Go ahead, get a ruler and look at the actual measurement. It's big. It should've been around 7 inches but I didn't feel the need to make it even bigger. The great thing about this surgery is the lift will shrink. Hopefully to 3 inches. She also has deep scars on her legs. She's had so many surgeries and incisions, I've lost count. She has indentations on her leg from the pins from the external fixators she's worn. She has drag marks down the sides of her legs from the pins moving during the lengthenings. We're so glad that this round she qualified for the internal fixator, but she still came out of surgery with 13 incisions. Those leave marks too. And she's going into 6th grade this year. With a 3 inch lift because even after this lengthening is done she still won't be even. She's not with any new kids. It's the same kids she went to school with in kindergarten. But I worry. Because kids change. Just like in the book. Elyse's BFF, Jeg, who has always been there for her, ends up leaving her for the popular crowd. I remember that happening in middle school. Another girl, same name as me, who had always been "average", suddenly rose in the ranks. Suddenly she was sitting with the popular kids, who gave her a "makeover" (funny what shiny lipgloss does to a middle school-er). Her former friends (not me, I was just an innocent bystander), were left in the dust. What if that happens to my child? What if kids, who have known her forever, start saying mean things to her? We do what we can as parents. My daughter has always had confidence and she is strong in a sport that is good for her, but what if things change? I hope her school has this book in their classrooms and libraries. I hope middle grade teachers everywhere will start having conversations about this book. It must be shared. Please find this book on July 12th. Get a copy for yourself and consider getting a copy for someone else to read. Welcome to this version of I'm Reading What You're Reading. This week it's the sports and animals edition. I'm so happy with this series! 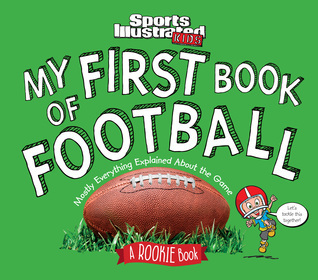 Using accessible text and sports rich vocabulary, this book is perfect for kids who are working on reading more independently. Using photograph cut-outs from football players today (although I've noticed that often the photo they use has the player positioned just right so you can't see their name on the jersey which will make the relevancy of this book last longer) you see the player in action for the sports term that is being explained on the page. There is a little cartoon character that appears on the pages with some great comic relief. He made me laugh out loud on most pages and really endeared me to the series! My only complaint is the lack of Chicago teams in the pictures. 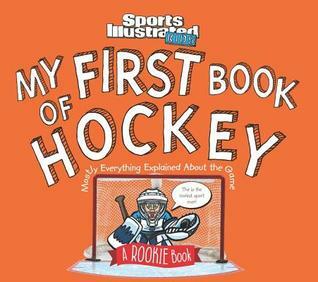 Surely the Blackhawks will appear in the hockey book?? Thanks to Kellee Moye for reviewing these books. Kids love animal books but so often they can be overwhelming. 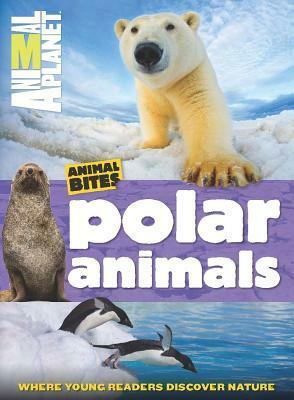 This Animal Planet series really makes them accessible to young readers. Lots of shorter text to read in labels, captions and sidebars. The shorter sentences makes it readable for young readers. The facts are fascinating and funny! The book is broken down into color coded parts so readers can easily find facts for things like: where they live, how they live, data, and other categories. The back matter is full of additional activities, games, sources, glossary and index. 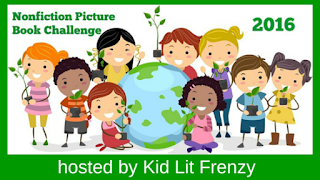 This is a great series for 2nd-5th grade classrooms. I always start writing this post earlier in the week and add to it throughout the week. I couldn't post this without saying that while I'm celebrating a week of reading, my heart is also with the people in Orlando. Being in Florida right now, it's been scary how many times this state has been in the news as of late. But whether I'm in Florida or home, this senseless violence has to stop. I hope the books we are reading help give this generation tools to help shape this world without violence, censorship or hate. I shared a new picture book biography on Nadia Comaneci. I think this book will be in demand this fall after the summer Olympics! I reviewed Nora Raleigh Baskin's upcoming book Nine, Ten HERE. Be sure to check it out because it was written from a different standpoint - the days leading up to 9.11. I'm spotlighting some great new early readers. Last week's was Salina Yoon's Duck, Duck, Porcupine. I always knew the evil villains had a heart of gold! Cute story. The standout point for me were the illustrations. This would be a good book to use at the beginning of the year to talk about community. I may or may not recognize some of the characteristics of the Grumpasaurus in me.... This would be a fun book to use in the beginning of the year to talk about character ed - how to calm down, how to approach a friend when they are having a problem. This would be a good book to use in primary classrooms when many kids are prescribed glasses. Would also be good just to show students why kids need glasses. This book is about Nerdy teachers everywhere! I thought this book was going to go one direction but it didn't. It would be fun to use with theme. Another good one to use for community and treating everyone equally. I love Corey's fractured tales. Another fun one to add to your collection. Use this one for silly problem solving. Pair it with Joyce Wan's The Whale in my Swimming Pool. Spunky gets his own book! Written by the author of the Julian and Huey books, Spunky the dog gets his chance to tell his thoughts. 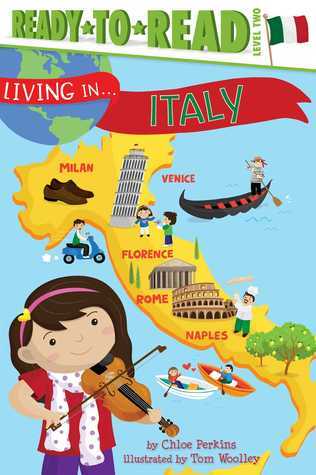 Cute book for our younger readers who are ready for chapters. I enjoyed the dog perspective, but if you're looking for a book that really captures the dog's perspective, check out Victoria Coe's Fenway and Hattie! It's a sweet story but what I'm really loving are the illustrations by Matt Phelan! This book is begged to be read out loud and enjoyed over and over. 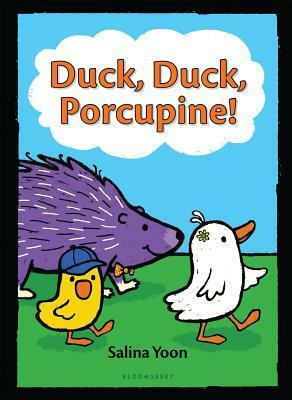 Watch your audience and notice when the clever reader picks up on the clues that Big Duck and Porcupine miss over and over. It's the clever reader and the clever Little Duck that notice the little details that Big Duck and Porcupine keep missing. I love how Salina Yoon uses small details in the illustrations and text to add more to her stories. In each chapter, it's Little Duck who is always in the know. He knows it's about to rain in the first chapter, and then shows his friends how to make a rainy day fun. In the next chapter, Little Duck knows exactly what Big Duck forgot, yet it's Little Duck's attempts to let Big Duck know what she forgot that will make readers laugh. Finally, in the last chapter when it's time to go camping, it's Little Duck who remembers what is important. I am a big fan of Salina Yoon's books. I think she has great talent in conveying the story through her bright, bold illustrations and concise text. They appeal to so many readers. I start my school year off with her books because they get kids excited to read. And have you seen her books as part of Kohls Cares? I picked up a Bear and Penguin for my young readers to share and love as we read her books next year. Now, I am excited to share this book with young readers! I asked her the other day about more in the series and she shared the next one will be out in January 2017 and book 3 in the fall of 2017. Yippee! I'll leave you with this adorable image she sent me! Thank you, Salina!